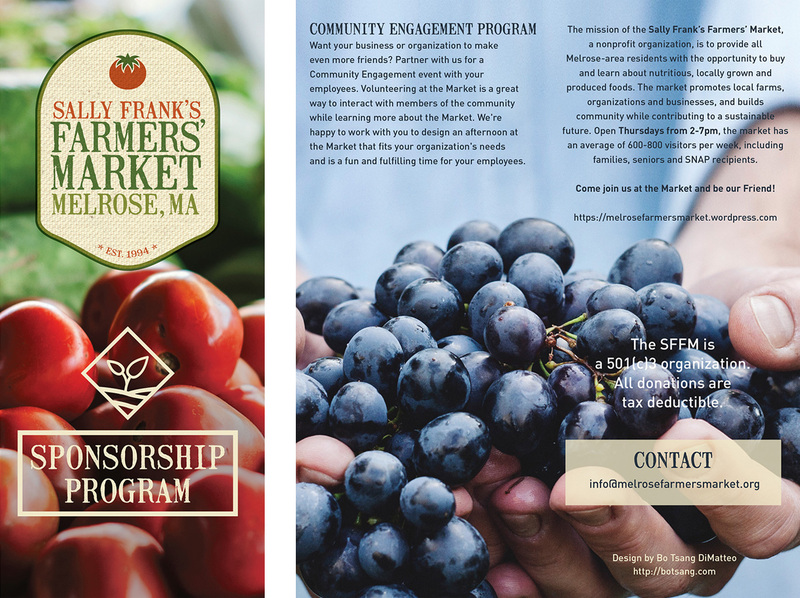 I created a brochure for the Sally Frank’s Melrose Farmers’ Market to boost sponsorships and gain awareness for one of the longest running farmers’ market in Massachusetts. The overall concept is to show the freshness the farmers’ market provides and to showcase that all goods are grown and produced by Massachusetts farms, bakeries, and other food producers. 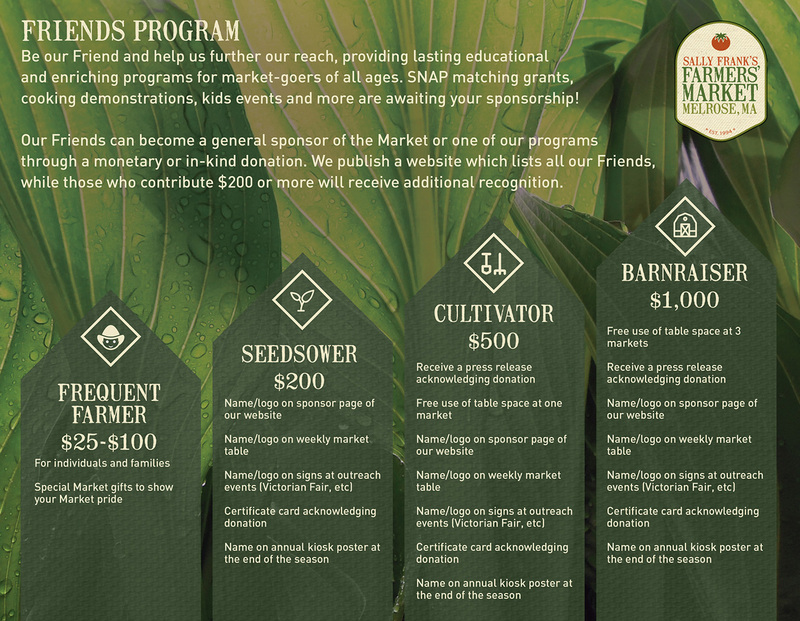 Unique icons were designed for each level of donation, from Frequent Farmer to Barnraiser.